The Dock with the Built In Bumpers! Welcome to Instant Marine Docks a Leading Boat Docks Company. For more than three decades, Instant Marine has covered North America’s waterfront with world-class floating docks, boat docks, floating boat docks, roll-in boat docks, aluminum boat docks, plastic boat docks, hydraulic boat lifts, pwc boat lifts and boat dock accessories. Instant Marine floating docks, boat docks, floating boat docks and eye catching boat dock designs are available in both residential and commercial applications. 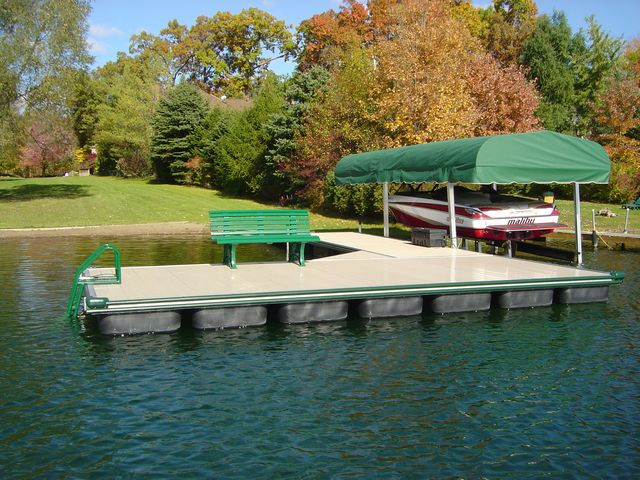 Instant Marine floating docks and boat docks began in 1977 in Detroit, Michigan. Instant Marine floating docks manufactures boat docks and distributes portable floating boat docks, residential floating docks and commercial boat docks for small marinas. Instant Marine boat docks are designed by John L. Hambrick, the founder of Instant Marine floating docks a leading boat dock manufacturer. Mr. Hambrick is the original floating docks innovator of the continuous built in vinyl bumpers, standard in all Series 500 floating boat docks from Instant Marine. Floating Docks – Rolling Docks – Stationary Docks & more! Instant Marine Docks provides quality floating docks, boat docks, aluminum boat docks, custom aluminum boat docks, portable aluminum boat docks, residential aluminum boat docks, lake aluminum boat docks, aluminum boat docks for marinas, and aluminum boat docks for inland lakes. Our floating docks, boat docks, aluminum boat docks and marina boat docks can be ordered as custom aluminum boat docks to meet your needs. Portable aluminum boat docks and floating docks can be adjusted to the lake levels. Available options on floating docks, boat docks, aluminum boat docks, custom aluminum boat docks and portable aluminum boat docks include: vinyl aluminum boat docks, aluminum boat docks, treated pine aluminum boat docks, cedar aluminum boat docks, floating docks and more. Some of our most popular floating docks and aluminum boat docks are: single slip aluminum boat docks and two slip aluminum boat docks. 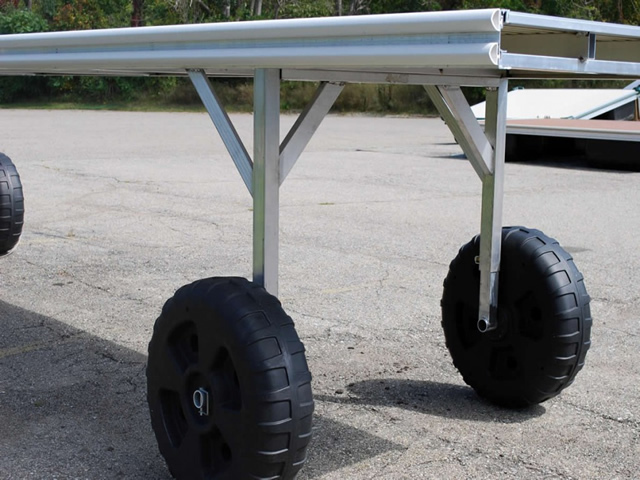 Instant Marine a leading Boat Dock Manufacturer also manufactures pwc boat lifts, drive-on boat lifts, marine boat lifts and residential boat lifts that are ideal for inland lakes. 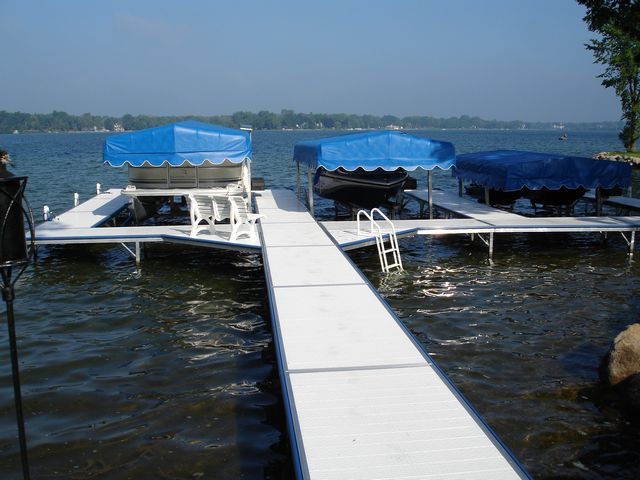 During the past 30 years, it has been our passion to develop top quality floating docks and aluminum boat docks that are easy to use while enhancing the appearance of your shoreline. Whether your site is more suited for portable boat docks, stationary boat docks, floating boat docks, or custom boat docks, no one gives you a better selection of quality floating docks and boat docks than Instant Marine. Our boat docks, aluminum boat docks, plastic boat docks, floating docks and floating boat docks feature four decking options (vinyl boat docks, floating boat docks, cedar boat docks or treated pine boat docks) available in four vinyl colors: white boat docks, beige boat docks, chocolate boat docks or gray boat docks with five built-in bumper colors: white boat dock bumpers, beige boat dock bumpers, cobalt blue boat dock bumpers, gray boat dock bumpers or hunter green boat dock bumpers.